MUMBAI – MAHARASHTRA – INDIA NOVEMBER 16, 2014 01.30 A.M.
May 2014 and June 2014 were the only insignificant months for my career. Number of students trained by me plummeted drastically in these two months. But it jumped upwards from July 2014. It was 27 in July, 2014 and 20 in August, 2014. From September 2014 number of students hovers between 20 and 30 or more. I am posting links of the 05 videos. You can watch them for the full understanding of my body of work in 2013 – 2014 . In total …………… 21 …………….. films got released in October . Out of these ………….. 21 ………… released films ……….. 07 ………… films have …………… 15 ……………. artistes , who are trained by me . Out of these ………. 15 ……… persons , ………. 12 ……… are actors . Among the remaining …………. 03 ………… Shekhar Ravjiyani is the Music Director of ” Bang Bang ” and ” Happy New Year “. And Raghav Sachar is the Music Director of ” Sonali Cable ” . My 15 students appeared in 07 films . Thus total number of students working in the month of October comes to 15. It was 27 in July 2014 , 20 in August and 20 in September. And as I have stated earlier, I have mentioned names of only those students, who respect me and accept my contribution in their journey of life. On behalf of all the students and staff of VIDUR Acting Institute , VIDUR Editing Studio , VIDUR Club and VIDUR Merchandise, I congratulate my above mentioned 15 students . MUMBAI – MAHARASHTRA – INDIA JULY 05, 2014 02.25 P.M.
After a dull May 2014, June 2014 also ended as a lacklustre month. From 30 / 40 students, who used to work in the Indian film industry in a month, it has now come down to 12 / 15 students in a month. It is almost half. But it does not mean that I am slipping down on the sandy, slippery path of the tinsel town. The main reason for this whittled list is that I have now decided and stopped taking credit of the 7 years of shared, sham and shameful legacy [ August 2005 to August 2012 ] . It is derogatory and worthless to fight for credit. It is beyond my dignity to mention names of those students, who despite being my students, don’t acknowledge my contribution in their professional lives. It is a 7-year long deafening silence from their side. So I also refrain from mentioning their names. From my side, I make them free from any obligation. From now on I don’t have any responsibility towards them and they also don’t owe me anything. Good luck to them! May they be blessed in their lives! July is going to bring a happy news and it is going to be a month of celebration. A new film ” Lekar Hum Deewana Dil “ is going to be released on July 04, 2014. Armaan Jain, grandson of legendary Raj Kapoor, and cousin of Kareena Kapoor and Ranbir Kapoor, is making his debut in the said film. He is my student. And he is not uncouth, uncultured and ungrateful like few others. I am posting links of the 04 Vidur Club News videos. You can watch them for the full understanding of my body of work in 2014. In total …………… 13 …………….. films got released in June 2014. Out of these ………….. 13 ………..…… released films ……….. 04 ………… films have …………… 07 ………..……. artistes , who are trained by me . Out of these ………. 07 ……… persons , ………. 04 ……… are actors . Among the rest …………. 03 ………… Sajid Khan and Adhir Bhatt are the director and dialogue writer of ” Humshakals “ respectively. And Kabir Sadanand is the director of ” Fugly ” . 1 – Bengali : Jeet is doing lead role in ” Game “. My ………….. 01 ……………. student in ……….. 01 ………….. regional film . 1 – Krushna Abhishek is hosting a show ” Entertainment Ke Liye Kuchh Bhi Karega – Season 5 “ on Sony TV . My ……………. 01 ……….. student in ………… 01 ……………. show on TV . 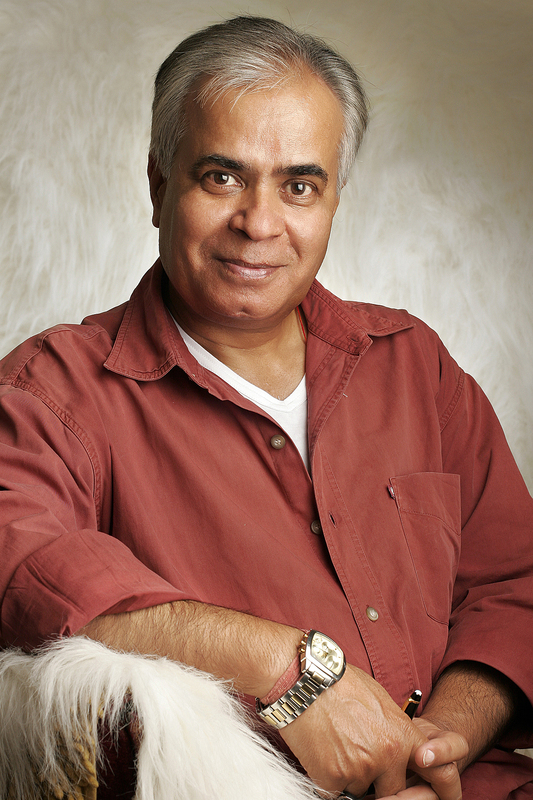 1 – Adhir Bhatt is playing lead in the play ” Bombed “. 1 – Varun Dhawan is the Brand Ambassador of ” New Pond’s Men ” . 2 – Hritik Roshan is the Brand Ambassador of ” Emami ” . My ………….. 02 …………… students in …………… 02 …………… commercial campaigns . As I have mentioned earlier, it was not a significant and satisfying month as an acting trainer / acting tutor. My 07 students appeared in 04 films , 01 student in 01 TV serial , 01 student in 01 regional film , 01 student in 01 play and 02 students appeared in 02 Ads also . Thus total number of students working in the month of June comes to 12 . It is not what it used to be. But I have mentioned the reason in the beginning of the blog. VIDUR Editing Studio , VIDUR Club and VIDUR Merchandise would also like to wish them well in their glorious journey ahead . May God bless them and they dazzle and shine in their chosen field . MUMBAI – MAHARASHTRA – INDIA DECEMBER 10, 2013 06.10 P.M.
Month of November 2013 will always be special for me . In the 24th year of my acting training career , I gave one more star to the Indian film industry in November 2013 . Urvashi Rautela is my latest student to hit the box office with her debut film ” Singh Saab The Great “ and join the film world . November will also be known for ” Krrish 3 “ , a Hritik Roshan film , a Diwali release , which brought cheers to the Hindi film industry . It is the new member of 100 Crore club of Hindi films . It earned 100.00 crore in just 4 days . It finally earned 243.24 crore in India and more than 300.00 crore worldwide . It has become the highest grosser of Hindi film industry till date . It is another feather in my cap as it has 03 of my finest students . ” Satya 2 “ disappointed . ” Goliyon Ki Raasleela Ram Leela “ earned handsomely at the box office . It is the latest entrant in the 100 crore club of Hindi films . ” Singh Saab The Great ” was a moderate hit and ” Gori Tere Pyaar Mein “ was not so successful . Popular folk singer of Pakistan , Reshma died in Lahore on November 03 , 2013 . She was only 66 at the time of her death . She was suffering from throat cancer . Born in Bikaner , Rajasthan , she along with her tribe migrated to Pakistan after partition and settled in Karachi . She sang many famous numbers for Hindi films also . Subhash Ghai used her voice in the film ” Hero ” [ 1983 ] , which featured one of her most famous songs , “Lambi Judai ……………………… “. In total …………… 09 …………….. films got released in November . Out of these ………….. 09 ………… released films ……….. 06 ………… films have …………… 17 ……………. artistes , who are trained by me . Out of these ………. 17 ……… persons , ………… 13 ……….. are actors . Among the rest ………. 04 ……. Darshan Rathod of Sanjeev – Darshan fame is the music director of ” Satya 2 “ and Shekhar Ravjiani of Vishal-Shekhar fame is the music director of ” Gori Tere Pyaar Mein ” . Punit Malhotra is the director of ” Gori Tere Pyaar Mein “ and Dhaval Gada is the co-producer of ” Singh Saab The Great ” . 1 – Bengali : Rahul Dev is doing a role in ” Rongbaaz “. My ………….. 01 ………………. student in ……….. 01 ………….. regional film . 1 – Ashok Beniwal is playing an important role in ” 24 “ on Colors TV . 2 – Gurmeet Choudhary is participating in ” Nach Baliye 6 “ on Star Plus . 3 – Sajid Khan is hosting ” Nach Baliye 6 ” on Star Plus . 4 – Samir Soni is doing lead role in ” Ringa Ringa Roses “ on Life OK .
My ……………. 04 ……….. students in ………… 03 ……………. shows on TV . 1 – Jena Tida is doing main lead in ” Taj Express “. 2 – Neetu Chandra is doing lead role in ” Umrao ” . 3 – Bhavna Pani is doing lead role in ” The Scent Of A Man ” . My …………… 03 ………….. students in ………….. 03 …………. plays . 1 – Kareena Kapoor is the Brand Ambassador of ” Boro Plus ” . 2 – Priyanka Chopra is the Brand Ambassador of ” Guess ” . 3 – John Abraham is the Brand Ambassador of ” Skybags Riviera ” . 4 – Hritik Roshan is the Brand Ambassador of ” Acer ” . 5 – Alia Bhat is the Brand Ambassador of ” IDEE Eyewear ” . 6 – Siddharth Dhawan is the Brand Ambassador of ” IDEE Eyewear ” . My ………….. 06 …………… students in …………… 05 …………… commercial campaigns . As an acting trainer / acting tutor I had a very significant and satisfying month . My 01 student made her debut as a leading lady . My 17 students appeared in 09 films , 04 students in 03 TV serials , 01 student in 01 regional film , 03 students in 03 plays and 06 students appeared in 05 Ads also . 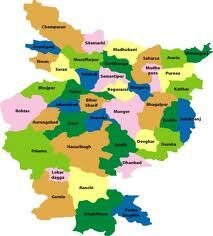 Thus total number of students working in the month of November 2013 comes to 31 . 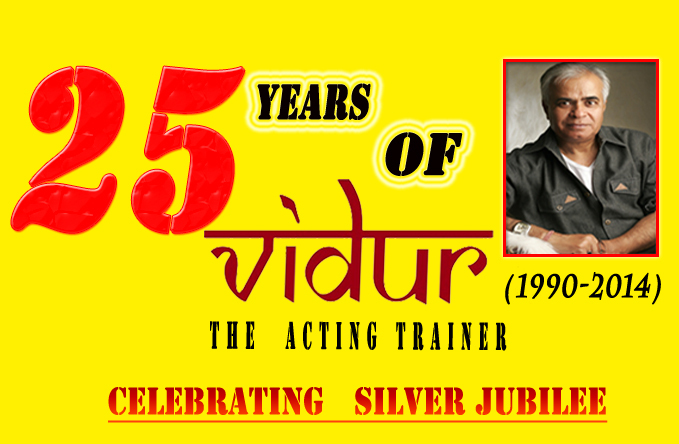 On behalf of all the students and staff of VIDUR Acting Institute , which is known as Vidur’s Kreating Charakters , I congratulate all my above mentioned 31 students . May they shine in their chosen field . MUMBAI – MAHARASHTRA – INDIA APRIL 04, 2013 00.20 A.M.
Month of March 2013 will be remembered for the average run of films . In the beginning of the month only ” Saheb Biwi Aur Gangster Returns ” got favourable response from the critics and the public . ” Mere Dad Ki Maruti ” and ” Jolly LLB “ had slow starts but picked up miraculously with positive word of mouth . ” Himmatwala “ came towards the end of the month and bombed miserably . The first quarter of 2013 can boast of only 7 hits and average hit films . They are : ” Jolly LLB ” , ” Special 26 ” , ” ABCD ( Any Body Can Dance ) ” , ” Kai Po Che ” , ” Mere Dad Ki Maruti ” , ” Table No. 21 ” and ” Saheb Biwi Aur Gangster Returns ” . #IMeAurMain had a lacklustre weekend and maintained low figures on weekdays. Collected approx Rs 7.90 cr nett in Week 1. ‘The Attacks Of 26/11’ performed slightly better in pockets of Maharashtra and South India, but remained below the mark elsewhere. #KaiPoChe [revised] collected approx Rs 16.42 cr nett in Week 2. Grand total: approx Rs 45.52 cr nett. #SahebBiwiAurGangsterReturns collected approx Rs 12.75 cr nett in its opening weekend. Breakup:- Fri 3.50 cr, Sat 4.25 cr, Sun 5 cr. #KaiPoChe collected approx Rs 4.15 cr nett in Weekend 3. Grand total: approx Rs 49.67 cr nett. #JollyLLB picked up substantially in evening/night shows across the nation. Collects *early estimates* Rs 3.12 cr on Friday. #JollyLLB witnesses 40%-50% jump at plexes on Saturday. Collects 4.23 cr on Sat. Total: Rs 7.35 cr. #3G collected approx Rs 5.82 cr in Week 1. Fri 1.10 cr, Sat 1.12 cr, Sun 1.40 cr, Mon 66 lacs, Tue 61 lacs, Wed 52 lacs, Thu 41 lacs. #MereDadKiMaruti collected Rs 8.09 cr in Week 1. Fri 1.03 cr, Sat 1.51 cr, Sun 2.05 cr, Mon 89 lacs, Tue 91 lacs, Wed 90 lacs, Thu 80 lacs. #JollyLLB Collected approx Rs 19.52 cr in Week 1. Fri 3.12 cr, Sat 4.23 cr, Sun 5.16 cr, Mon 1.90 cr, Tue 1.83 cr, Wed 1.76 cr, Thu 1.52 cr. Finally Monday ka Mantra: Aatmaa Fri 1.5 cr Sat 1.6 cr Sun 1.9 cr. Total 9cr. Rangrezz fri 1 cr Sat 1.2 cr Sun 1.3 Total 3.5 cr. A veteran actor of mythological films and some social films , Shri B. M. Vyas died on March 11 , 2013 at the age of 93 . Famous for his portrayal of Ravan in several mythological films , Vyas started his career with Chetan Anand’s ” Neecha Nagar “ but was noticed with Raj Kapoor’s ” Barsaat ” in 1949 . He acted in over 300 mythological and social films including films like ” Baiju Bawra ” , ” Do Aankhen Barah Haath “ and ” Sarawasti Chandra ” . His last big film was Shah Rukh Khan starrer ” Oh Darling Yeh Hai India ” . In total …………… 13 …………….. films got released in March . Out of these ………….. 13 ………… released films ……….. 07 ………… films have …………… 12 ……………. persons , who are trained by me . Out of these ……….12 ……… persons , Daisy Shah made guest appearance in ” Bloody Isshq ” . Raghav Sachar is the music director of ” I , Me Aur Main “ , Amita Pathak is the Ex. Co-Producer of ” Aatma “ and Sajid Khan is the director of ” Himmatwala “ . Remaining ………. 08 ………. are actors . 1 – Telugu : Sayali Bhagat is playing main lead in ” Blade Babji “. 2 – Telugu : Sayali Bhagat is playing lead in ” Inkosaari ” . 3 – Tamil : Sayali Bhagat is playing lead in ” Newtonin Moondram Vidhi ” . 4 – Bengali : Priyanshu Chatterjee is playing an important role in ” Shunya Awnko ” . My ………….. 02 ………………. student in ……….. 04 ………….. regional film . 1 – Sonali Bendre is judging ” India’s Best Dramebaaz “ on Zee TV . 2 – Vivek Oberoi is judging ” India’s Best Draembaaz “ on Zee TV . 3 – Monica Bedi is playing an important role in ” Saraswatichandra “ on Star Plus . 4 – Resshmi Ghosh is playing an important role in ” Savitri “ on Life OK .
5 – Eijaz Khan is playing an important role in ” Shubh Vivah “ on Sony TV . 6 – Apurva Agnihotri is playing an important role in ” Aasman Se Aage “ on Life OK .
7 – Manav Gohil is doing ” Buddy Project “ on Channel V .
8 – Sandesh Gour is playing an important role in ” Sarawatichandra “ on Star Plus . 9 – Smita Pawar is playing an important role in ” Tujh Sang Preet Lagayi Sajna “ on Sahara One . My ……………. 09 ……….. students in ………… 07 ……………. shows on different channels . 1 – Adhir Bhat is playing one of the leads in ” Gasha ” . 2 – Bhavna Pani is playing supporting role in ” So Many Socks ” . 3 – Veebha Anand is playing lead in ” Rishto Ka Live Telecast ” . It was such a satisfying month for me as an acting trainer or acting tutor [ as my detractors call me ] . My 12 students appeared in 07 films , 09 students in 07 TV serials , 02 students in 04 regional films and 03 students appeared in 03 plays also . Thus total number of students working in the month of March comes to 25 . Self-proclaimed most famous acting school of Mumbai , self-annointed most famous acting institute of India and self-appointed most famous acting academy of bollywood will fail miserably on this count . 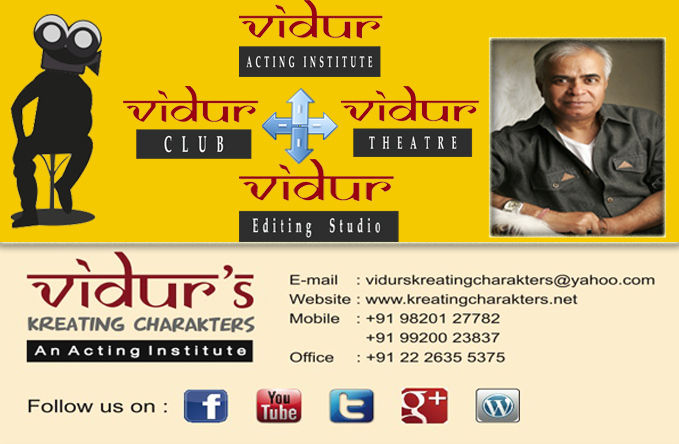 I congratulate all my above mentioned students on behalf of all the current students and staff of my acting institute Vidur’s Kreating Charakters . May they shine in their chosen field . May , through their endeavour , our acting institute will one day become one of the most famous acting institutes of the world . MUMBAI – MAHARASHTRA – INDIA FEBRUARY 25 , 2013 05.00 P.M.
2012 gave us only 10 super hits and some major flops . ” Ek Tha Tiger ” , ” Dabangg 2 ” , ” Rowdy Rathore ” , ” Agneepath ” , Jab Tak Hai Jaan ” , ” Barfi ” , ” Housefull 2 ” , ” Son Of Sardar ” , ” Bol Bachchan ” and ” Talash “ were declared hits . ” Talash “ could not make it to the 100 crore club . It earned only 93 crores . But all the other 9 movies earned more than 100 crores . ” Ek Tha Tiger “ became the most successful film of 2012 . It raked in 198 crores . So the final tally of hits in 2012 comes to 13 super hits , 8 hits , 5 average and 4 plus films . 2011 was definitely a cruel year for the Hindi film industry . In total 34 stalwarts left us for their final journey . Dev Anand , Shammi Kapoor , Rasika Joshi , Vivek Shauq , Navin Nishchol , Bob Christo , Goga Kapoor , Rami Reddy , Pratap Sharma and Sunil Rege . Jagjit Singh , Bhupen Hazarika , Srinivas Khale , Pandit Bhimsen Joshi and Sultan Khan . Radhakant Sharma , Mani Kaul , Jagmohan Mundhra , Surinder Kapoor , Tony Walker , M. F. Husain and Shandar Amrohi . 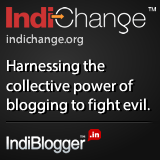 Sachin Bhowmick , K. K. Singh and Kumar Shailendra . Somak Mukherjee and Harish Patel . Samir Chanda and Shanti Das . Gautam Rajadhyaksha and Durga Prasad . Pandit Satya Dev Dubey . 2012 was equally harsh . In total 29 luminaries and stalwarts of film industry left us in 2012 . Except month of November , almost 2/3 people died every month . In just 2 years 33 stalwarts , who made indelible mark in the industry , left this world . I deeply mourn the departed souls , who left us for their heavenly abode . I congratulate all the successful actors , producers and directors , who gave hits and super hits in 2012 . Vidur’s Kreating Charakters expresses happiness at the turn of events . MUMBAI – MAHARASHTRA – INDIA FEBRUARY 06, 2013 11.35 P.M.
Month of January came and is now gone with no major surprises . ” Table No. 21 “ met with moderate success and ” Matru Ki Bijlee Ka Mandola “ failed to garner mullahs at the box office . ” Race 2 “ looked promising initially but could not sustain the impetus . Tweets of Mr. Taran Adarsh and Mr. Komal Nahta , which I re-tweet , shows the current trends of the industry . #Dabangg2 *2-week total* India Rs 144 cr + Overseas Rs 45.6 cr. Total: Rs 189.6 cr. ‘Table No 21’ Friday 1.55 cr… Picked up in the evening shows… North biz affected due to severe cold. ‘Table No 21’ fri 1.55 cr, sat 2.04 cr, sun 2.25 cr, mon 1.02 cr, tue 1.00 cr. Total: 7.86 cr. Rock-steady! 9h taran adarsh ‏@taran_adarsh #MatruKiBijleeKaMandola faces tough competition in North [Punjabi film] and South [5 Tamil films and 2 biggies in Telugu]. Jan taran adarsh ‏@taran_adarsh #Inkaar collected approx Rs 6.35 cr nett in its opening weekend. Breakup:- Fri 1.75 cr,Sat2.10cr, Sun2.50cr. #Race2 Saturday trends: Has chances of touching 20 cr, if it maintains the momentum. Awesome! Race 2: first day all-india net approx. 14.25 to 14.5 crore. Haradhan Bandopadhyay, a favourite actor of Satyajit Ray and a loving grandfather of Bengali films, died on January 07 , 2013 in the morning . From “Mahanagar” to “Barfi” , his loving portrayals in films enthralled us. He is the actor who played Jhilmil’s Daju in Barfi. Producer and director S. Ramanathan died on January 09 , 2013 at the age of 83 . He was the man , who produced ” Bombay To Goa ” [ 1972 ] and thus gave Amitabh Bachchan his first big break . Later on he produced ” Geraftaar ” [ 1985 ] and brought together Amitabh Bachchan , Rajnikanth and Kamal Hassan . In between he also produced and directed ” Mahaan ” [ 1983 ] , the film which starred Amitabh Bachchan in triple role . In total …………… 12 …………….. films got released in December . Out of these ………….. 12………… released films ……….. 06 ………… films have …………… 14 ……………. persons , who are trained by me . Out of these ……….14 ……… persons , John Abraham comes twice and Hritik Roshan and Katrina Kaif have made guest appearances . 1 – Chhattisgarhi : Sandesh Gour is playing main lead in ” Daai “. 1 – Sajid Khan is one of the judges in ” Naach Baliye – 5 “ on Star Plus . 2 – Dinesh Soni is playing an important role in ” Balika Vadhu “ on Colors TV. 3 – Kunal Madhiwalla is playing Narad in ” Jai Bajrangbali “ on Sahara One TV . 4 – Akhlaque Khan is playing an important role in ” Na Bole Tum Na Maine Kuch Kaha “ on Colors TV . 5 – Sonali Sachdev is playing an important role in ” Sanskaar – Dharohar Apno Ki “ on Colors TV . My ……………. 05 ……….. students in ………… 05 ……………. shows on different channels . I congratulate all the above mentioned students of mine on behalf of all the current students and staff of Vidur’s Kreating Charakters . May they shine in their chosen field .